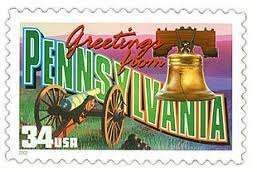 The future of online gambling in Pennsylvania took a step forward on Thursday as the state House of Representatives passed a gambling bill by a vote of 108 to 71. House Bill 1887, whose primary sponsor is Rep. Jason Ortitay, would legalize and regulate both online gambling – including online poker – and daily fantasy sports in the Commonwealth. The Senate vote will be delayed at least a couple weeks, as by the time the House had voted on the bill at 1:00pm Thursday (after refusing to vote on Wednesday), the Senate had already adjourned for an election break. It will reconvene on November 15th. 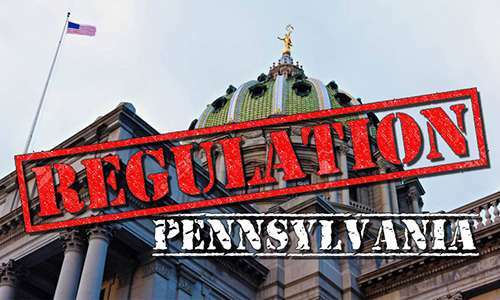 The House bill uses internet gambling to fill a $100 million gap in the upcoming fiscal year’s budget, arguably the biggest reason why online gambling has been given so much consideration in Pennsylvania. One thing the bill does not do is allow for the expansion of slot machines into the state’s airports. The House had originally wanted that, but the Sentate was opposed, fearing it would cannibalize business from the twelve casinos in the state. As a compromise, the House removed that portion from the bill. Supporters of airport slot machines would likely argue that state residents would not opt for airport gambling over casino gambling and therefore cannibalization shouldn’t be an issue, but opponents may be nervous about visitors staying in the airport to gamble while traveling, rather than venturing out to nearby casinos. Aside from the online gambling portion of the bill, the most important aspect of the legislation was a fix to casino “host payments” that were declared unconstitutional by the state Supreme Court a month ago. As mentioned, there are a dozen casinos in Pennsylvania. The nine non-Philadelphia casinos were required to pay a “local share assessment” of either two percent of “gross terminal revenue” from slot machines or $10 million per year, whichever was higher. This money went to the casino’s host municipalities. The owner of Mount Airy Casino & Resort in Monroe County sued the state, arguing that the tax arrangement is unfair, as it creates different effective tax rates for each casino, depending on how much slot revenue each generates. The reason for this is because none of the Pennsylvania casinos generate $500 million in slot win, they all end up paying the $10 million assessment. Thus, the smaller the casino, the higher a portion of its revenue the $10 million equals. According to PennLive.com, the $10 million equates to anywhere from a 4.55 percent tax to a 10.43 percent tax, depending on the casino. In East Hanover Twp., Dauphin County, there is no mortgage on the brand new Grantville Volunteer Fire Co. station. Four years of gaming grants paid off about 84 percent of the $2.3 million loan. In Bethlehem, the $8.8 million local share paid by the Sands casino there accounts for about 12 percent of the city’s annual budget, or the rough equivalent of 100 police officers, Mayor Robert Donchez told The Morning Call of Allentown this week. The Supreme Court understood that the local share was already factored into municipal budgets, so it gave the state legislature 120 days to try to rework the rules, which the House believes it has done in this bill. For local lawmakers, the House’s version is dicey. Vote against it, and the Lehigh Valley’s two biggest cities lose millions. Vote for it and go against Sands Casino Resort Bethlehem, which opposes internet gambling and never has complained about paying the host fees. The casino mentioned there, the Sands Casino Resort Bethlehem, is part of Sheldon Adelson’s empire. As you likely know, Adelson wants online poker wiped off the face of the Earth, or at least the United States. The casino also brings in the second most slots revenue in the state, so it shouldn’t be too surprising that it hasn’t spoken up about the fees.